Sleep problems can keep some people awake at night even though they are very tired and desperately need the sleep. If that sounds like you or you are suffering from insomnia or sleep disorder problems, a British product, LightSleeper, offers a natural sleep solution for you without any drugs or pills. 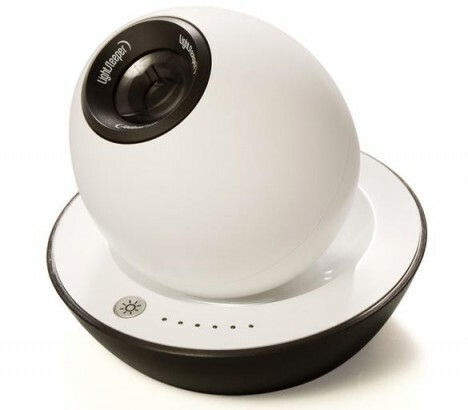 Weighing 526g and designed like an egg, LightSleeper, is an interesting device that can project a moving and soothing light on the ceiling. When users follow the light movement which moves in a controlled circular path with their eyes, their mind will feel relaxed and their eyes will gradually drift off into asleep. Sounds interesting? According to the manufacturer, following the light has the effect of relaxing the mind, a necessary prerequisite to entering a deep, refreshing sleep. Through this natural way, it will help insomnia users to overcome sleeping difficulties. If you have insomniac problems, probably LightSleeper is worth a try. This tiny gadget is easy to carry around and it does not consume a lot of room space. Powered by the built-in rechargeable batteries, LightSleeper can switch off automatically after 30 minutes of light projection and it can be reactivated easily with a gentle tap.